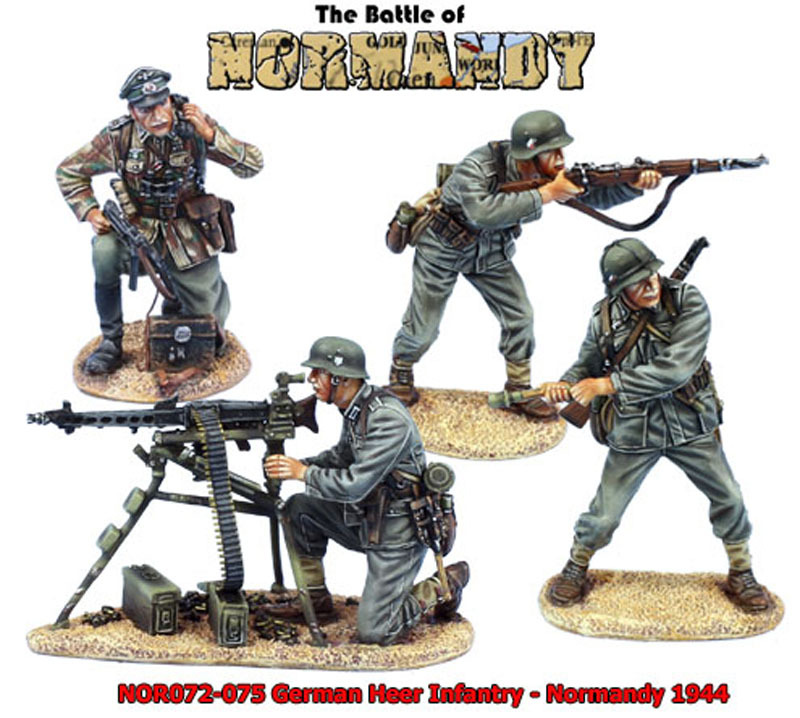 Our Batle of Normandy series already features a wide variety of combatants from both sides including, for the Germans, Waffen SS and German Fallschirmjagers. While it was highly demanded of us that we have create the "elite" German fighting formations, in reality it was the Heer Infantry Divisions which were the backbone of the German Army on all fronts and in most battles, including Normandy. The figures that we now present depicting the German Heer represent a wide variety of divisions spanning a countless number of conflicts from Normandy through Market Garden and nearly everything in between. So while coded NOR, the release will reflect more generic German "Late War" infantry in summer dress making them perfect for a whole host of display options. The figures will be equipped with a range of weapons and dress options accurately reflecting the less than standardized nature of the German Heer Infantry at this time and the heavier reliance on hand held anti-tank weapons than was previously the case as the Germans were now strictly on the defensive. As with all of our figures, they are superbly sculpted and hand painted to an extremely high level. We do hope you enjoy the figures!